being little • bristol uk fashion & lifestyle blog. : to the sea, the sea of love. This post is looooong overdue! 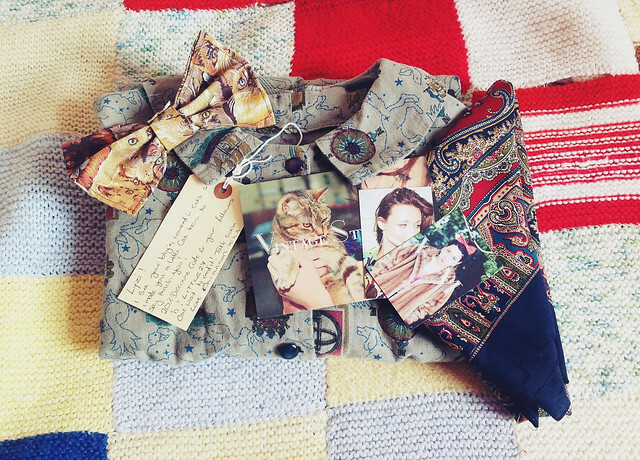 Almost two months ago, the lovely Rhiannon from Vintage Style Me sent me an amazing package. 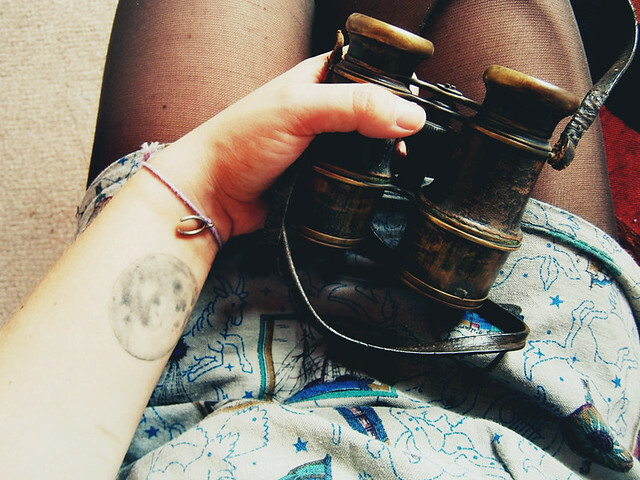 Inside was the dreamiest 1960s handmade dress, covered in nautical imagery and constellations. The little collar, turned up sleeves and purple buttons caused me to fall in love even deeper. The one and only downside to this dress is that it's VERY short, so it is not to be worn without tights, or on a day that I might be bending over a lot! 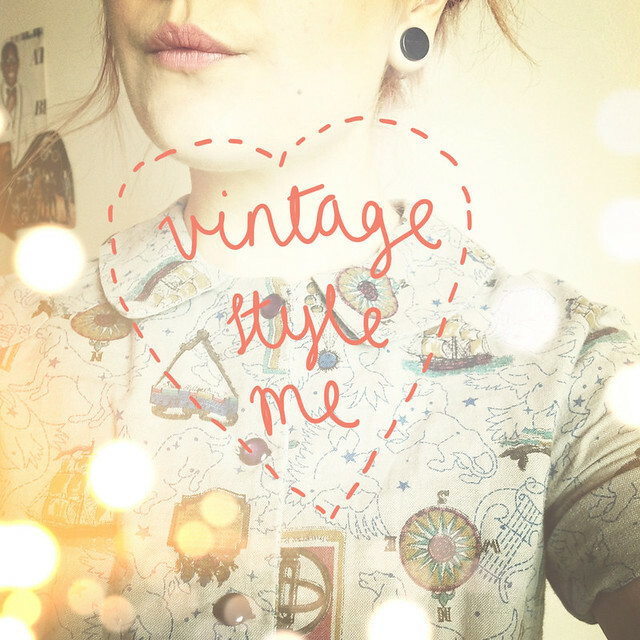 There are so many treasures to be found in the shop, and I have a lovely 20% discount code for you guys, just enter PROMO12 at the checkout at Vintage Style Me! Such a stunning dress! Fits you perfectly! I. Adore the vintage style. That dress is adorable, looks fab on you! Thanks for the discount code too, will make use of that! That print is so cute! Nautical meets cosmic, so awesome. What a lovely parcel to get! Dress is so cute! 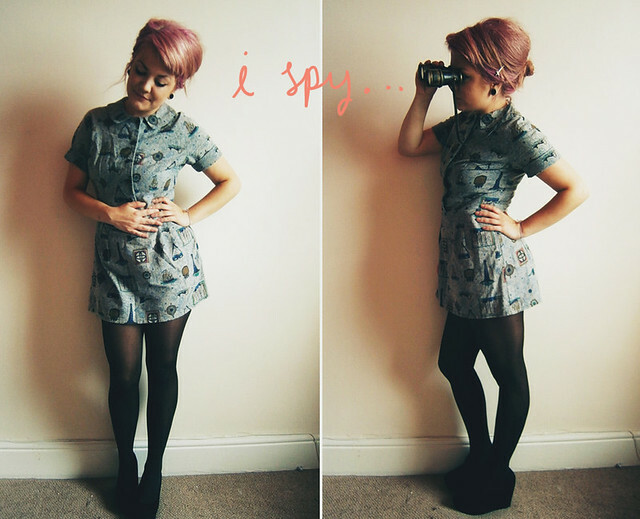 I love vintage Style Me! Thanks for the code! your dress is lovely! Ack I adore that dress, such an amazing print! Wow! What a brilliant dress. Nice to see the whole nautical trend done in a way that doesn't involve stripes! aw man that dress is awesome! What an incredible dress. You look adorable! 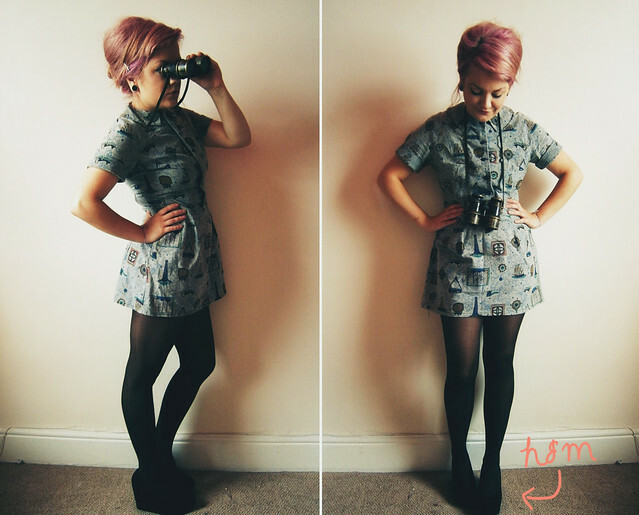 This dress is absolutely AMAZING, and matches your hair colour brilliantly. Jealous!